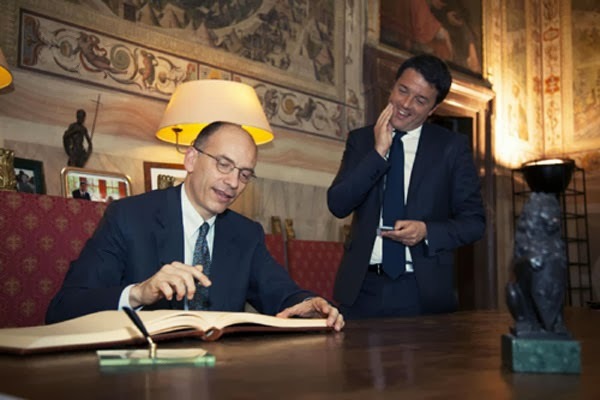 Open Europe: Italian government on the brink (again): Has Renzi's hour come? Other than making a difference to the incomes of the people involved does it make any difference at all to Italy's politics? -the new electoral law does not solve unconstitutional aspects already set out by the Court but nobody cares in the political arena, apart from getting some specific notional advantage out of forthcoming discussions, because higher up that has already been decided upon. At the end of the day it simply shows again that real economic reform is not going to happen unless it is forced (forced the hard way). The key in this has to be Berslusconi's support, or what is left of it at this stage. I note OE has Berlusconi as the first tag, though he is not even mentioned in the post. Odd. I think we just had have to wait and see. Italy and France have become the capital "M" in MananaZone.